19 inch steel based Victa Corvette 500. 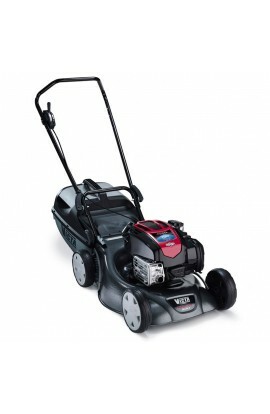 This unit is coupled with a 725EXi QPT Briggs & Stratton 163cc engine. The unit has mulch or catch capability & is fitted with 4 swing back blades. The Corvette 500 comes with a 3 year warranty & hard plastic grass catcher.